LONDON — Britain has canceled horse races at least until the middle of next week after three horses tested positive for equine influenza. The British Horseracing Authority announced the decision on Thursday as races already had been halted for a day. “The disease can take up to three days before symptoms are visible, meaning it will take until Sunday at the earliest before the B.H.A. can gather all the information required,” the authority said in a statement. More than 100 racing yards were on lockdown on Thursday as the authorities carried out health checks, The Racing Post, a specialist publication, wrote on Twitter. Horses on these yards competed at racecourses in Ayr, Ludlow and Wolverhampton this week. This was the first time since 1981 that the authority had called all races off, threatening the $ 4.5 billion industry, according to Forbes. In a sign that betting, a large industry in the country, would be affected, two of the largest companies, Ladbrokes and Coral, carried the news with alarmed emojis on Thursday. 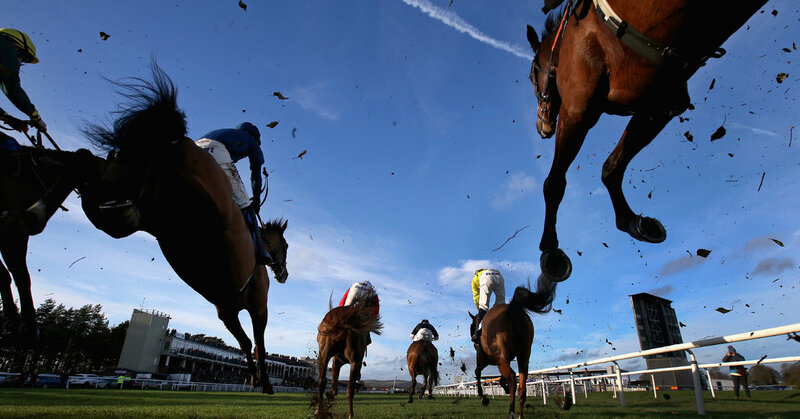 They could be hit particularly hard if the ban lasts until after mid-March, when events like the Cheltenham Festival and the Grand National, some of the biggest betting events, are coming up. In 2007, an outbreak of equine influenza in Australia cost the country’s betting industry millions. But the British Horseracing Authority played down fears on Thursday of a similar outcome in Britain, partly because race horses in Australia had not been vaccinated. Race horses in Britain routinely receive flu vaccines, but they can still catch the disease in rare cases, the horse racing authority said on its website. Symptoms of equine flu, like nasal discharge, elevated temperature and cough, are much the same as for human flu, as is the treatment — rest, and drugs to treat symptoms. “There is nothing to suggest that these particular cases are unusually serious, but implications for the wider horse population and horse movement are potentially serious, and we must prevent further spread of the infection as quickly as possible,” the authority said. There is no known human health risk associated with the virus, the authority added. At least one betting firm, Paddy Power, saw an opportunity in the suspension. By midday on Thursday, the firm had a bet going on when horse racing would resume.